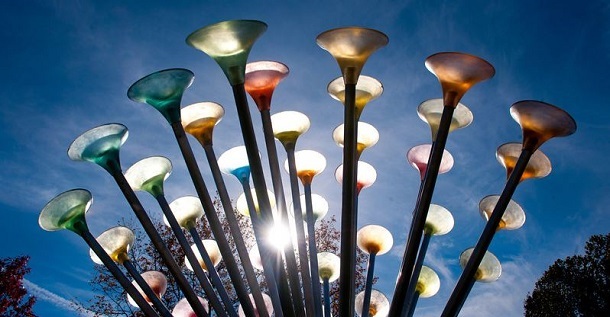 Mysterious sounds have been reported around the world, and many witnesses are likening them to the trumpet blasts described in the biblical book of Revelation. WND reported on the phenomenon that has been puzzling people in Britain, Ukraine, the U.S., Germany and Belarus. The reports have prompted new speculation about the end times. But several authors who have addressed that subject in their books say a good dose of caution is appropriate, concluding the sounds may be a spiritual warning rather than a literal announcement of the end of days. Pastor, talk-show host and author Carl Gallups, who used the symbol of the trumpets of Revelation as the basis for his exploration of the end times in “Final Warning: Understanding the Trumpet Days of Revelation,” says believers should be wary of hoaxes. “Of course, some would expect an author who has written a book about the ‘trumpet days’ of Revelation to be absolutely giddy about the reported phenomenon of mysterious trumpet sounds coming from the sky at various locations around the world. However, the opposite is true,” he said. "Astounding!" "Dumbfounding!" "What is the meaning of this?" "What is happening?" These were the startled expressions coming from the mouths of a crowd of several thousand on the Day of Pentecost nearly two thousand years ago. Those who uttered these words of astonishment were mostly Jews and proselytes, with a sprinkling of Romans and other gentiles among them, who were gathered in Jerusalem for the Feast of Weeks, or the fiftieth day following the offering of the wave sheaf. All knew it was the "Feast of the Firstfruits," and that it was celebrated "on the morrow after the seventh Sabbath" following the wave sheaf ceremony. But none had the slightest inkling of what was to happen on this momentous day. They were shocked, startled, puzzled! Then, by the thousands, they tearfully crowded around Christ's apostles, asking to be baptized! They repented in droves at the inspired preaching of the apostles, who wore flickering, brilliant crowns of flame! Read, in your own Bible, of the miracles that took place on the first Pentecost after Christ's resurrection––of the miracle of Pentecost! A swarthy trader from Egypt, who was half Jewish, began speaking in a sardonic whisper to the Arabian standing next to him. "They have got to be drunk with new wine!" he said. The Number “13” and the Identity of “Ephraim”! The incredible relationship between the 13th Tribe and the 13 Colonies that became America! It is well known that the number "13" is the number of the United States of America. The United States began with 13 colonies. The original U.S. flag had 13 stars, representing the initial 13 states. It also contained 13 stripes, 7 red and 6 white. The American seal also bears witness to the number 13 in its composition. Over the breast of the eagle on the United States seal is a shield; the shield of FAITH. It has thirteen stripes or bars, red and white, signifying the number 13; the number of the original American colonies. The number 13, of course, was the number of the tribes of ancient Israel, since the tribe of Joseph became two tribes: Ephraim and Manasseh. There were twelve tribes of Israel, but Joseph had two sons and each of them became a tribe; hence, there were thirteen tribes in all, with Ephraim, the youngest son, being number 13. The U.S. shield contains 13 paleways or stripes which represent the 13 original colonies. The shield is not fastened to the eagle, but spread across in front of it, as if held there by the unseen Hand of God. In the eagle's beak there is a scroll, representing the proclamation of liberty and freedom, and justice for all: the Constitution of the United States, based on the laws of God and the Torah which God gave to ancient Israel. The motto "E Pluribus Unum" means "One from Many," or "Out of many, One." It represents UNITY; the FIFTY united States of America! This One nation combines the peoples and ethnic groups of many different nations and peoples from around the world: out of many, ONE. And if we remained faithful to the laws of God, this national UNITY would be preserved forever. But if we BREAK God's laws, then the very unity we possess will become disunity and division - the "unity" will become a memory, a distant dream, forgotten in onrushing calamity and cataclysm. As Memorial Day approaches, one photographer set out to refocus America's gaze from the three-day weekend and barbecues back to the holiday's true purpose: a day of remembrance for those who have died in service of the United States armed forces. Andrew Lichtenstein, documentary photographer, journalist, and author, attended some 60 military funerals from 2003 to 2006 capturing the heartbreak and pride present as family and friends remembered and honored the fallen soldiers. Lichtenstein published some of the photos in his 2007 book on the subject titled 'Never Coming Home.' On Friday the Times featured almost two dozen photos from the photographer's project. If Abbas is an angel, he’s a fallen angel. He’s a Holocaust-denying terrorist who, like his predecessor Yasser Arafat, considers it his sworn duty to finish the job the Nazis started. As a doctoral candidate at Moscow’s Oriental College in 1982, Abbas wrote a thesis suggesting far fewer than 6 million Jews were killed in the Holocaust. But that was just the start. In his treatise, he actually accused the Jews of conspiring with Adolf Hitler to annihilate European Jewry. He accused the Jews of deliberately inflating the numbers of those killed in concentration camps to pave the way for a Jewish state. He may have been one of the first to equate Zionism with Nazism. As Middle America rises in rage against “fast track” and the mammoth Obamatrade deal known as the Trans-Pacific Partnership, the Wall Street Journal has located the source of the malady. Now it is true that, while Nixon and Reagan won 49-state landslides and gave the GOP five victories in six presidential contests, the party has fallen upon hard times. Only once since 1988 has a Republican presidential nominee won the popular vote. But was this caused by following this writer’s counsel? Or by the GOP listening to the deceptions of its Davos-Doha-Journal wing? In the 1990s, this writer and allies in both parties fought NAFTA, GATT and MFN for China. The Journal and GOP establishment ran with Bill and Hillary and globalization. And the fruits of their victory? On Nov. 3, 1969, Richard Nixon, his presidency about to be broken by massive anti-war demonstrations, called on “the great silent majority” to stand by him for peace with honor in Vietnam. They did. Within days Nixon’s approval surged to 68 percent. The ferocious Republican partisan of the 1950s had won over millions of Democrats. Why? Because sons and brothers of those Democrats were doing much of the fighting in Vietnam. If Nixon was standing by them, they would stand by him. In 1972 Nixon would win 49 states. Ronald Reagan, backed by his “Reagan Democrats,” would win 44- and 49-state landslides. THAT IS NOT TRUE ! There is a terrible thing taking place among believers who have learned that aspects of pagan sun worship have had a great influence upon modern day Christianity. 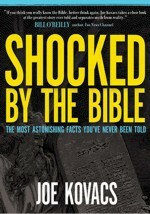 Believers are now beginning to imagine problems lurking within every precept of the Christian faith. These imaginations are being presented as fact when in reality there is no factual evidence to support them - imaginations that are sowing discord among the brethren. There are those who are saying that the writers of the New Testament had an agenda, an agenda to intentionally pervert the name of Messiah. Some are saying that the name Jesus is derived from the name of the pagan god Zeus when in fact there is no evidence to support that premise. Deceptive theory is being presented as fact and the integrity of the entire New Testament is being called into question, causing some to reject its life giving truths. A rejection of truth based on the imaginations of men who regard conjecture with greater esteem than fact. Our adversary as a roaring lion seeketh whom he may devour. He is the father of lies and it makes him no difference whether we believe the lies of paganized traditional Christianity or whether we reject the veracity of New Testament scripture. Either way he has accomplished his goal of deception, which always leads away from the Creator. 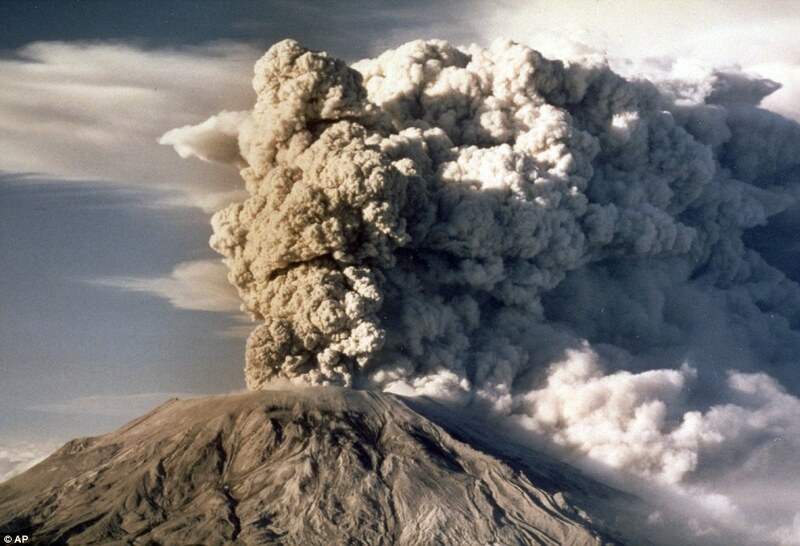 Thirty-five years ago this Monday, Mount St. Helens in southwest Washington state erupted, killing 57 people, blasting more than 1,300 feet off the top and raining volcanic ash for miles around. Today, the volcano has become a world-class outdoor laboratory for the study of volcanoes, ecosystems and forestry, as well as a major recreational and tourist destination. But as scientist learn ever more about the nature of Earth's hellish interior and ability to repair itself, the mountain is slowly but surely recharging its magma reserves and will one day explode once again. Saint Helens, the most active volcano in the Cascade range, is still active. 'But it's not erupting now,' said Carolyn Driedger with the U.S. Geological Survey. Scientists, however, are constantly recording activity in and around the mountain, including tiny temblors and gas releases. In September 2004, after 18 quiet years, the volcano rumbled back to life with a swarm of tiny, shallow quakes. The first of a series of small explosions on Oct. 1 shot volcanic ash and gases into the air. A lava dome began to rise in the volcano's crater, building slowly over three years during the eruption period that lasted from 2004 to 2008. The volcano hasn't erupted since 2008, but it has been changing very subtly. Last year, scientists confirmed suspicions that fresh molten rock has been recharging the volcano since 2008. The magma reservoir about 5 miles beneath the volcano has been slowly re-pressurizing since 2008. The uplift is slow, steady and subtle, measuring about the length of a thumbnail over six years, scientists said in 2014. Is Your Doctor Overdosing You on Blood Pressure Drugs? For years we’ve been told that high blood pressure is the “silent killer” and that too many people put their lives in danger by not taking medications to control it. Now, a new study indicates that the opposite problem is prevalent: Blood pressure often is overtreated, and it increases patients’ risk of kidney failure and death. Researchers at Kaiser Permanente Southern California studied the records of almost 400,000 people with high blood pressure who were being treated with medication. They found that patients whose readings were between 130/60 and 139/79 — a range doctors consider “prehypertension” — had the lowest kidney failure rates. Patients with readings considered ideal by experts — below 120/80 — were at substantially increased risk. “Many studies of people with high blood pressure have shown that bringing extremely high blood pressure with the top number ranging from 190 to 200, down to readings of about 150 show resounding improvements in the risk for strokes, kidney failure, and heart attack,” said study leader nephrologist and hypertension expert John J. Sim, M.D. Franklin Graham, one of the world’s best-known Christian evangelists and the head of the nonprofit Samaritan’s Purse, said in a Facebook post the god of Islam is not the “God of the Bible,” or of Christianity. He made the remarks in context of responding to the Garland, Texas, attacks that left one officer injured and the two gunmen – a Muslim convert and his roommate, both of whom have been embraced by ISIS as two of their own – dead. Did President Obama deceive Americans with his narrative of the 2011 assassination of Osama bin Laden? Pulitzer Prize winning investigative reporter Seymour Hersh says so in a narrative published on Sunday. The renowned author accuses Obama of rushing to take credit for the al-Qaida leader’s death. What do YOU think? Sound off on Barack Obama’s honesty. Take part in the WND Poll! Hersh argues Obama’s decision – he terms it “high-level lying” – to take credit for bin Laden’s death forced the military and intelligence communities to scramble to corroborate the president’s version of events. America's middle class is less wealthy in 2014 than at any other time since the 1940s. The bottom 90 percent of families in the United States collectively owns just 23 percent of total U.S. wealth. Meanwhile, those at the top end of society are getting richer with senior company executives and successful entrepreneurs earning pay packets that far exceed those of their predecessors. It means that ordinary middle class American families living the 'American Dream' are now worse off than during wartime. The startling statistics have been revealed in a new working paper put together by economists Emmanuel Saez of the University of California, Berkeley, and Gabriel Zucman of the London School of Economics. (HAARETZ) — The world’s oldest complete copy of the Ten Commandments is going on rare display at the Israel Museum in Jerusalem in an exhibit tracing ci vilization’s most pivotal moments. The 2,000-year-old Dead Sea Scroll, from a collection of the world’s most ancient biblical manuscripts discovered near the Dead Sea east of Jerusalem, has never before been publicly displayed in Israel and has only been shown in brief exhibits abroad, said Pnina Shor of the Israel Antiquities Authority. The manuscript is so brittle that it will only be on display at the Israel Museum in Jerusalem for two weeks before it is returned to a secure, pitch-black, climate-controlled storage facility at the museum. 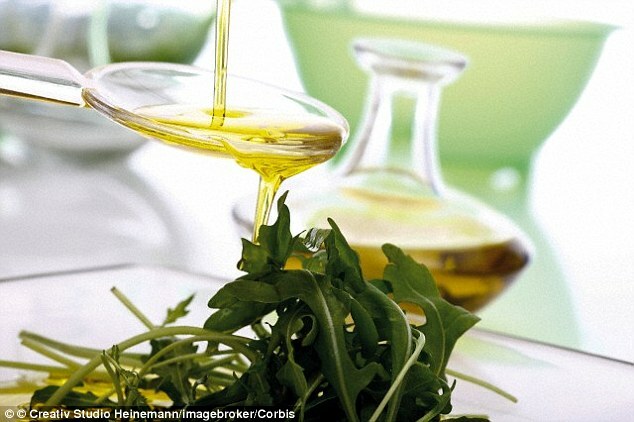 Could olive oil be the latest weapon against cancer? Following a Mediterranean diet has long been regarded as the key to a long and healthy life. And now scientists may have found one of the key reasons why. An ingredient in extra virgin olive oil, oleocanthal, kills human cancer cells without harming healthy ones, researchers found. The oleocanthal works by rupturing a part of the cancer cell called the lysosome, which acts as the cell’s waste dump, releasing proteins that cause it to die. When the scientists applied it to cancer cells in the lab, the cells died very quickly – within 30 minutes to an hour. ‘The lysosome is the garbage dump, or the recycling centre, of the cell,’ said researcher Paul Breslin, from Rutgers University in the U.S.
‘The lysosome is isolated in the cell because it’s so toxic. If you rupture the membrane that’s compartmentalising the lysosome, the inside of it leaks out into the cell. However, oleocanthal does not harm healthy cells – it merely suspends their life cycles temporarily, the researchers said. Well, it is a fact that May Day, which the children do enjoy with all vibes, is not an overly prominent holiday in America. Yet, it does have a long and notable history as one of the world's principal festivals. The origin of the May Day as a day for celebration dates back to the days, even before the birth of Christ. And like many ancient festivals it too has a Pagan connection. For the Druids of the British Isles, May 1 was the second most important holiday of the year. Because, it was when the festival of Beltane held. It was thought that the day divides the year into half. The other half was to be ended with the Samhain on November 1. Those days the May Day custom was the setting of new fire. It was one of those ancient New Year rites performed throughout the world. And the fire itself was thought to lend life to the burgeoning springtime sun. Cattle were driven through the fire to purify them. Men, with their sweethearts, passed through the smoke for seeing good luck. Then the Romans came to occupy the British Isles. The beginning of May was a very popular feast time for the Romans. It was devoted primarily to the worship of Flora, the goddess of flowers. It was in her honor a five day celebration, called the Floralia, was held. The five day festival would start from April 28 and end on May 2. The Romans brought in the rituals of the Floralia festival in the British Isles. And gradually the rituals of the Floralia were added to those of the Beltane. And many of today's customs on the May Day bear a stark similarity with those combined traditions. May day observance was discouraged during the Puritans. Though, it was relived when the Puritans lost power in England, it didn't have the same robust force. Gradually, it came to be regarded more as a day of joy and merriment for the kids, rather than a day of observing the ancient fertility rights.